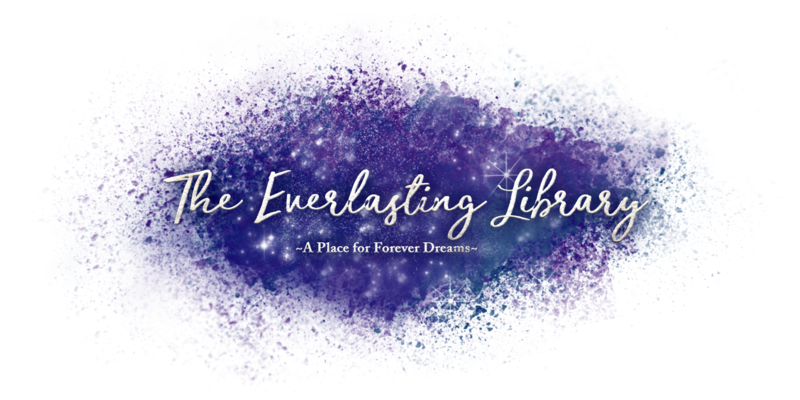 Everlasting January// ft. me screaming and a lot of firsts! I read 9 books in total! That’s not bad at all since I was super busy with school and competitions and things and I was in a HUGE slump at one point! It’s lower than what I normally read but I enjoyed the books I read and I’m focusing on that! My average rating was 4.56. Also I just realised I partially reviewed 3 of the books I read? WHO AM I AND WHAT HAVE I DONE WITH MYSELF?!?! The Cruel Prince by Holly Black (x2) // ⭐️⭐️⭐️⭐️⭐️ I was so excited for The Wicked King that I wanted to reread This Cruel Prince! It was so good, I had to read the whole thing again! It was also my first buddy read. Thank you ilsa (queen) for buddy reading and freaking out with me! 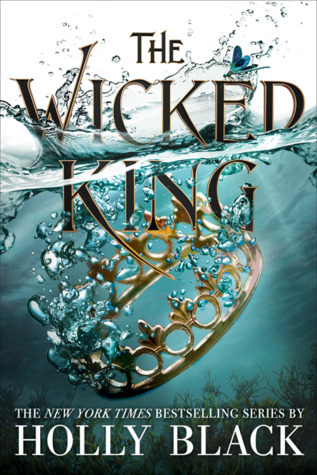 The Wicked King by Holly Black (x2) // ⭐️⭐️⭐️⭐️⭐️ THE WICKED KING IS SO FREAKING AMAZING!! I literally died in all the Jude and Cardan scenes. I can’t wait till next year for Queen of Nothing 😭 someone send help. Stolen: A Letter to My Captor by Lucy Christopher // ⭐️⭐️⭐️⭐️.5 My IRL friend loved this book and so I gave it a go too! It was super enjoyable and I loved the way it was written in second person! Check out my mini review here. The Guggenheim Mystery by Robin Stevens // ⭐️⭐️⭐️⭐️ This was a super cute mystery! I worked out who did it like half way through but this is a MG book so… I rated this from an MG me perspective because if I looked for the things I did in YA it would be quite unfair. Human.4 by Mike A. Lancaster // ⭐️⭐️⭐️.5 This is a super unique Sci-Fi story that takes such an imaginative turn on the world! It was written in the form of audio tapes with some information boxes and was completely gripping! Mini review is here. Turtles All the Way Down by John Green // ⭐️⭐️⭐️⭐️ This was a really sweet story! I loved Daisy and Davis and Aza too but I think my heart goes to Noah! He’s so broken and deserves to be loved! I didn’t cry but the ending broke my heart. I absolutely LOVED The Wicked King! The scenes were beautiful, the ending killed me and Locke was annoying as ever. I FELT SO MANY FEELS THO. If you haven’t read it, please try it!! And if you have, FREAK OUT WITH ME!! I also really enjoyed I’ll Give You the Sun because it was so cute ad precious and NOAH AND JUDE NEED TO BE PROTECTED AT ALL COSTS. There’s not really a particular disappointment but Human.4 didn’t really make me feel anything and while it was exciting, it was a bit meh as well? It was super interesting though and you should give it a go if you like Science Fiction! 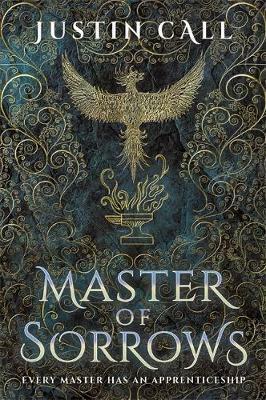 I'm reading Master of Sorrows by @Justin_T_Call!? So far it is wonderful and I love the maps! Note: I do not mean to brag but putting the books on here helps me recall which books I received and need to review and are a way of showing my appreciation to the author/publisher etc. Ilsa posted an awesome guide to getting arcs which is so helpful! Marie talked about critical reading and whether you need to be critical all the time. Vicky gave a bunch of mental health recs based on books you’ve previously enjoyed! El shared 25 awesome blog post ideas for book bloggers! Kim‘s answers to the Unpopular Opinions Tag were so fun and I loved reading them! J R Lynn shared some books that have recently been added onto the TBR! Well, I won 2 giveaways and this is the first time ever so I’m literally freaking out?? Thank you so much!! I became part of the We Hunt the Flame street team!! And it is such an amazing experience! Worked with a lot of authors for interviews and stuff so keep your eyes peeled! Got so much closer to my IRL friends which makes me so happy because they are all just so AWESOME. I got closer to more people online! It’s so nice to know someone’s got your back! I’ve done 10,000 steps every single day since Christmas!! ate some chocolate, it was good. It snowed on Feb 1st and I didn’t have to go to school! and i’m always so bad at remembering what’s happening? Track my reading in a spreadsheet ✅ I completely did this! It’s so fun to see what books I’ve been reading and to see the data appear in pie charts! Support more Asian authors and books ✅❌ I HAVE supported quite a lot of two Asian authors! I just haven’t read any Asian books. Maybe YARC will help? Write reviews as soon as I finish reading ❌ Lol no. But I have reviewed 3/7 books even though they weren’t ARCs which makes me super proud! Post. Consistently✅ YES YES YES YES!! Who’d have thought it was possible? Comment on all blogs that interact on mine❌ To everyone reading this, I am so so so sorry that I haven’t been commenting on anyone’s blogs or replying to comments on here but I promise I’ll get to it! Make new blogging friends!✅ I made some fabulous new friends this month and I can’t wait to get to know them more! Be more selfless✅ I let people use my glue. And my pens. It was hard. I hope you’re all proud of me because I cringed every time I saw them push too hard or use unnecessary amounts and it was scarring. I did 5 out of 9 goals which isn’t bad! Now I just need to make sure I’m doing these till the end of the year! How was your January? Any good reads? What’s life been like? How are your New Year’s Resolutions going? Pandas or sloths? HAVE YOU READ THE WICKED PRINCE?? Anything exciting happen? Do you like my old feature images (from before Jan) or my new ones?? 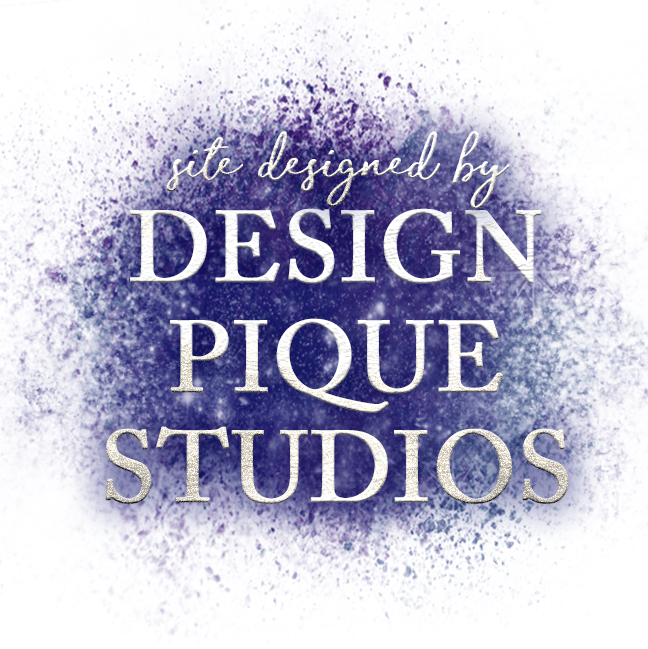 DIVULGE YOUR SECRETS!! Hooray! Congratulations on an awesome January, Kerys. 9 books in a month seems impossible to me since I have yet to break that number, but you’ve done so well and considering you’ve enjoyed all these too! 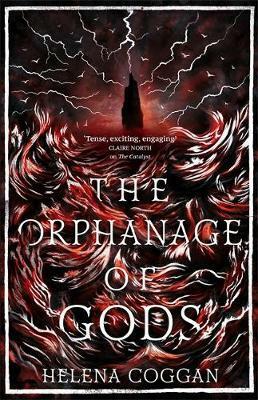 I’ve been longing to read Opposite of Always and The Orphanage of Gods for so long and can’t wait to hear what you think once you’ve read them. Your feature images are so stunning as always! ❤ I wish you the best of luck to all your goals and I hope you have an even better February! ahhh you read so many books this month! SO PROUD OF YOU, KERYS! ❤️ how are you doing so much. ALSO CONGRATULATIONS ON YOUR FIRST ARCS!! Love love loved this post! ❤ thank you for featuring me, Kerys! ALSO, you don't even need to put that disclaimer there after your book haul! Don't even worry about it, we all don't think that you're bragging & also a lot of people post book hauls without that disclaimer! (including me lol) ❤ ❤ I'm so glad you loved The Wicked King and I AM SCARED TO READ IT OKAY. I HAVE BEEN DELAYING IT AND I KNOW I WILL REGRET BUT. AH. Hello! First off, I’m so glad you loved Stolen. It is my favorite book, EVER. It’s far from perfect, but it made me fall in love reading. I reread it at least once a year. I recently borrowed The Cruel Prince from the library, and I’m even more excited to read it now! I’m so happy you enjoyed Turtles and I’ll Give You The Sun, I loved both of these books so, so much! 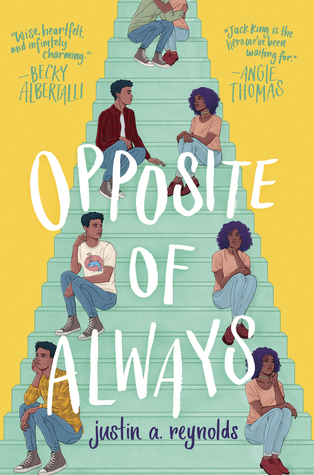 🙂 and yay congratulations on receiving books, that’s awesome, Opposite of Always is one of my most anticipated reads of the year, I hope you’ll love it. Reading 9 books is really good especially with school (because stressful) and posting 2 times a week!! Smashing it!! Well done on winning the giveaways!! And reaching 600 followers on twitter!! And reaching 10,000 steps a day is awesome!! And eating chocolate 😉 yay for getting a bookshelf— I love organised mine!! Good luck with all your new goals!! I’m surprised you called Turtles All The Way down “sweet” because I think it was actually kinda the opposite? Daisy’s OCD is really intense is some scenes, and even the romance isn’t always the cutest. but what do I know, I read that book two years ago, I remember nothing. I’ll give you the sun is awesome and I love the writing and the characters and the story and it was so strange I loved it. also congrats on your ARCs that’s so awesome!!! I remember being so happy getting my first physical copies from publishers!! i like your featured images but idk… using the same photo for each one feels weird for some reason? idk why. it stills looks aesthetic and nice tho!! my opinion is irrelevant haha. ANYWAYS YOUR THE SWEETEST thanks for linking my post and 10,000 steps every day is #GOALS in every sense of the word!! I’m proud of you!! have a great Feb ❤ and pandas. Thanks for the shout-out Kerys! Enjoyed reading this post, I can really feel how happy you are hahaha. And though I haven’t read any of the books you featured above yet, I’m so looking forward to being able to read them especially The Wicked King! And UGH – every time Locke walked into a scene in the wicked king I just wanted to hiss GET AWAY FROM MY PRECIOUS JUDE! I love this post!!! I feel like NOW I really have to read The Wicked King 😂 I keep seeing praise and your review isn’t helping me stay away from it! Also, congrats on the ten thousand steps and on winning two giveaways! Luck was by your side yaaaay. I think I’ll borrow (+credit) your goals/accomplishments section for my next monthly wrap-up. It’s such a great way of looking back at life and at books! Aww thank you Rita! It is super good! Have you read The Cruel Prince? Thank you so much! I genuinely don’t know how it happened! I’m normally unlucky! Of course go for it! It is super helpful to look back upon especially if you have a bad memory (like me!) Happy February! Nooo, I haven’t yet! (I keep mixing The Cruel Prince and the Wicked King but I’m sure I’ll read them one right after the other) Happy Feb to you too!